Australia Gardens, Cranbourne, Victoria, Australia. The gardens are set on a total area of 872 acres including heathlands, wetlands and woodlands and the specialty australian gardens are on 6 acresof this large parcel of land. 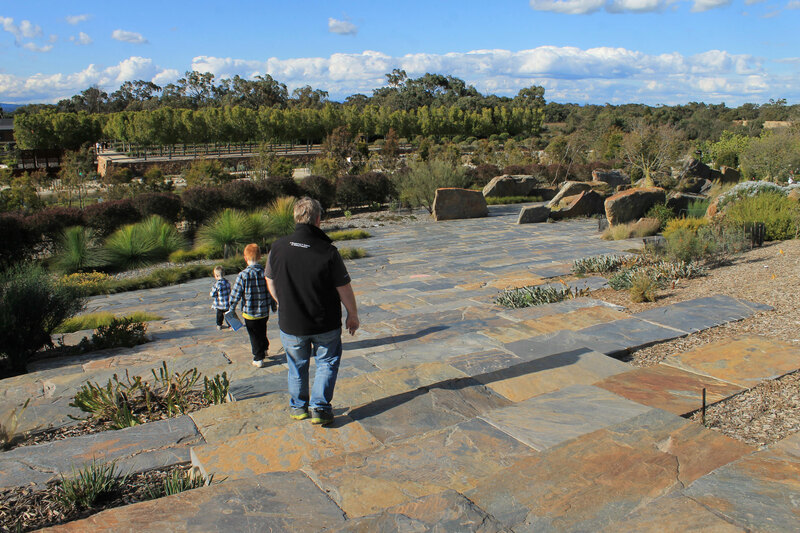 The bushland section of this garden encompasses 10 km of walking tracks including a lookout tower, picnic sites and BBQ's. The gardens are located on the outskirts of suburban Melbourne, making it readily accessible to all in the eastern side of the city and also to South Gippsland. 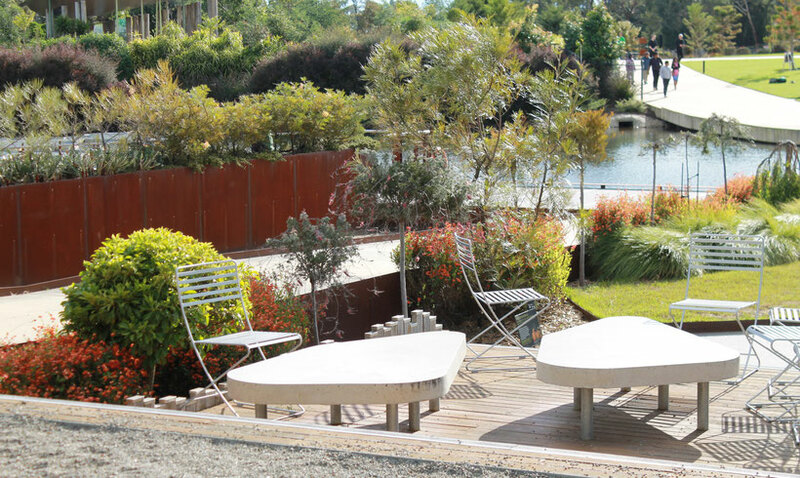 It's ideal for family picnics, with brilliant facilities including toilets, Royal Botanic Gardens (RBG) shop and cafe. 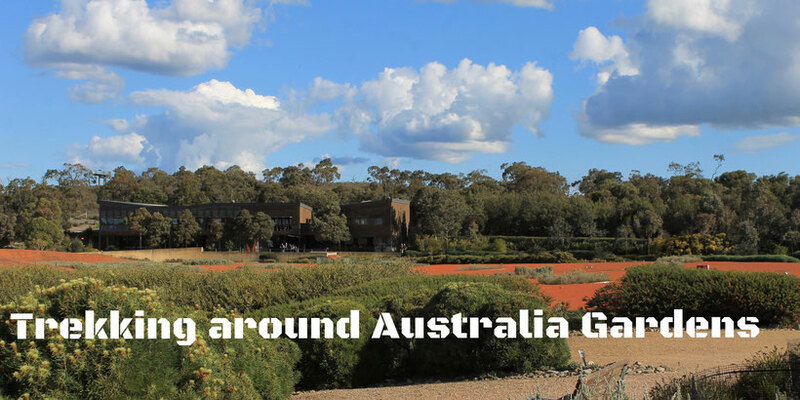 The site was an extremely long time in the making, with the land division for the RBG made in 1970 for Australian Plant research. 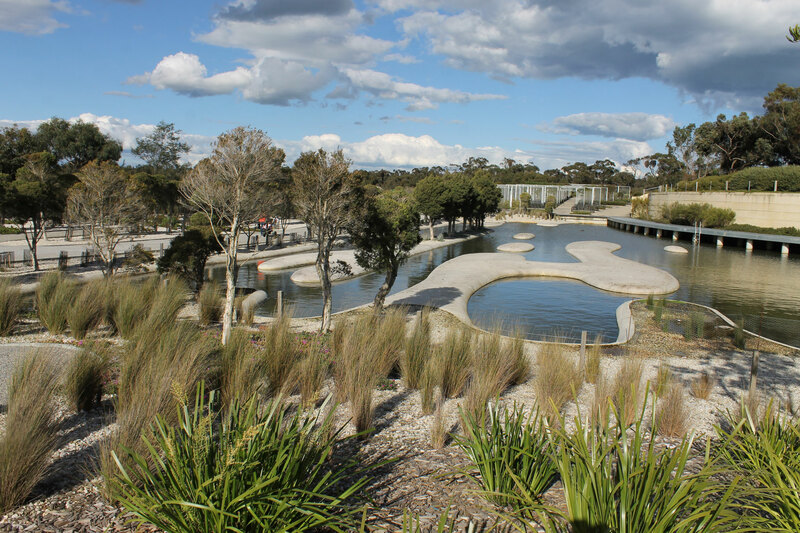 The gardens weren't open until 1989 and the "Australian Garden" was not opened until May 2006. 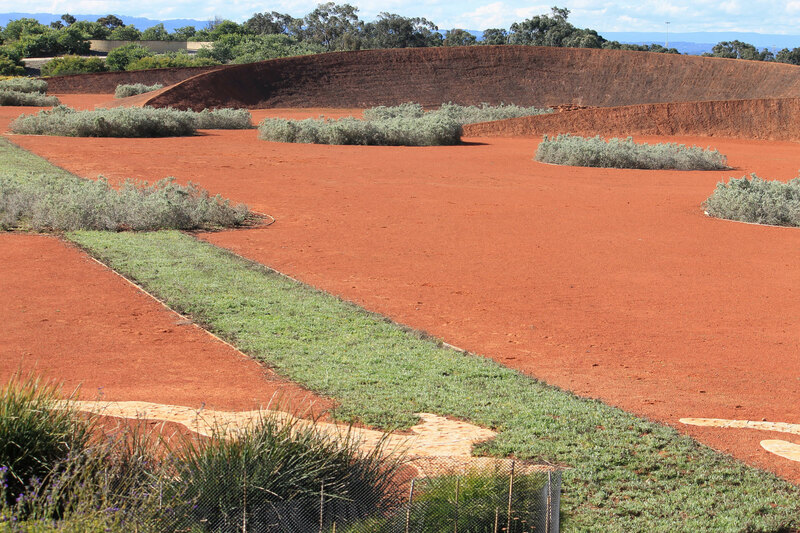 The entrance to the gardens is stunning, taking you right out to the wide open "Red Sand Garden", and while I have posted a picture below, there's nothing quite like to feeling of space and isolation of the garden. It takes your breath away a little bit! This garden features circles of saltbush and crescent (or crater) like shaped rock mounds and shows off seasonal flushes of wildflowers as seen in the "Red Centre" deserts of Australia. Taking the trail to the right leads through a variety of different gardens, the first being the amazing "Rockpool Waterway" feature that you can actually hop into and cool your feet in. 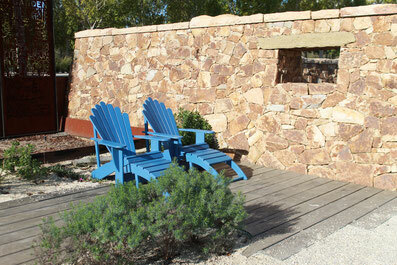 The children love it and there is plenty of seating, providing a wonderful sensory experience. 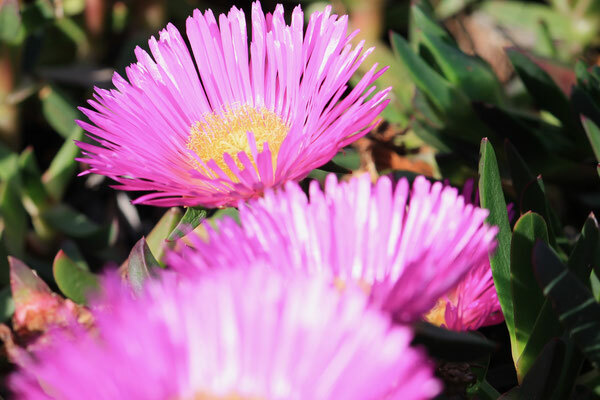 Even on a cool day the arid gardens can be quite warm in places, with the harshness of warm climates mimicked throughout. I would recommend bringing plenty of water when out walking. 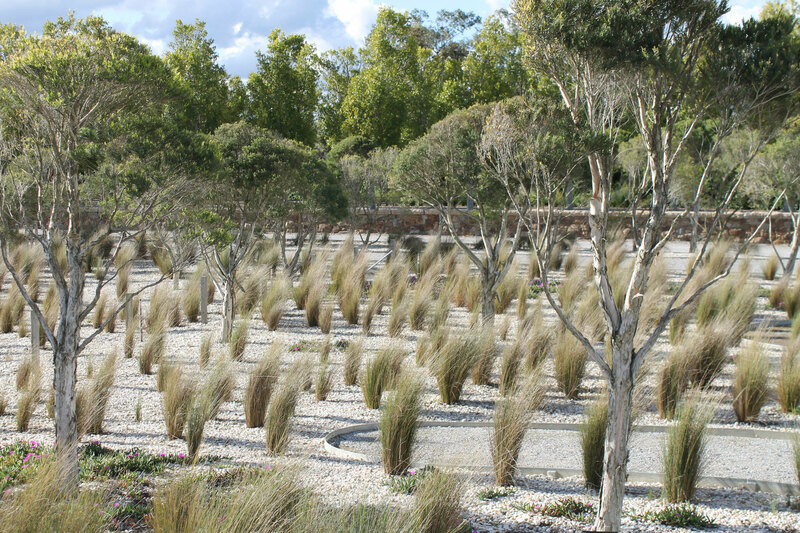 There is an "Arid Garden", "Dry river Bed" and exhibition gardens such as the "Water Saving Garden", "Home Garden" and "Kids Backyard Garden". 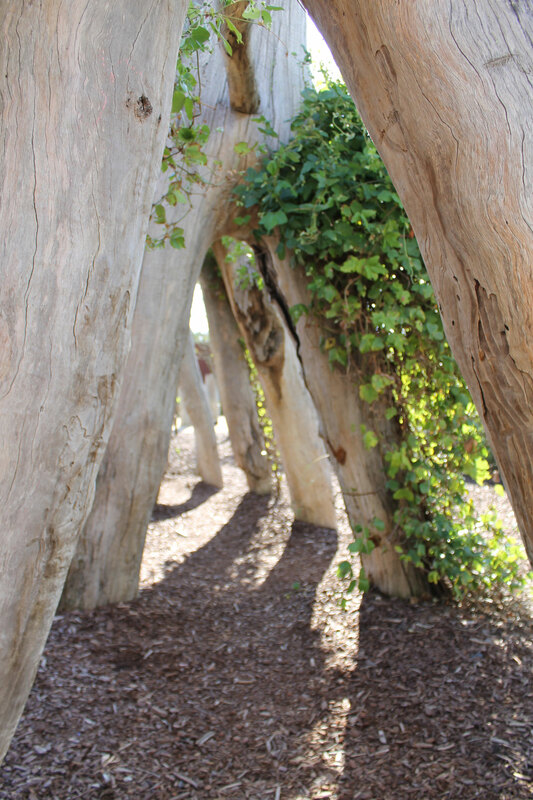 The "Eucalypt Walk" was a personal favourite of mine, containing around 700 species found all over Australia, including the "Ironbark Garden", "Box Garden", "Peppermint Garden", "Bloodwood Garden", and "Stringybark Garden". All of the trees are spectacular and are maturing well. The kids loved to the children's play area, which was made for natural resources, big tree trunks (pictured) form the structure and they loved running around it! 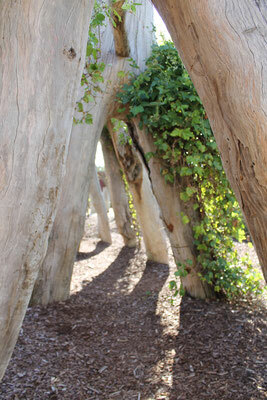 Each landscape looks dramatically different as you wander across all the different gardens. 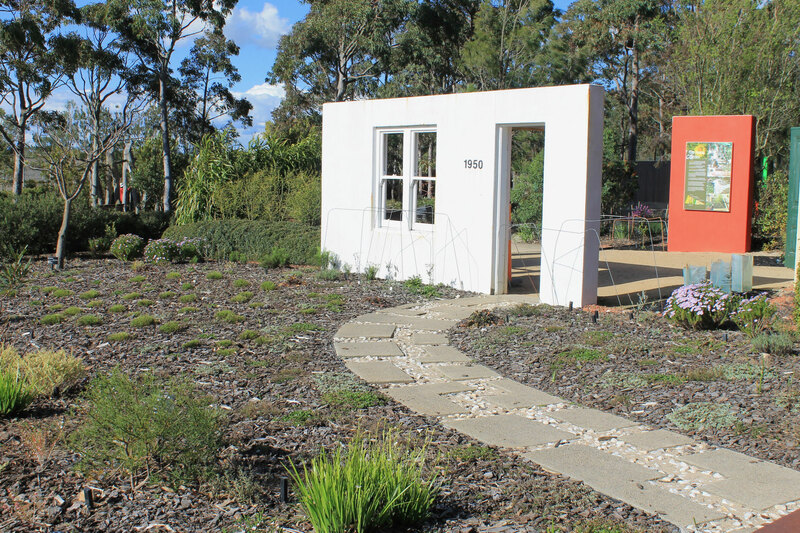 Some look like regular backyards and one features beautiful Castlemaine stone, while some feature natural grasses and trees, which makes for a really diverse and interesting walk. Entry is free and there are plenty of picnic / BBQ facilities as well as tourist information, guided tours and cafe on site. I'd highly recommend this walk for something interesting and different for all ages and for all times of the year.